Come find your own place in Topanga in this tucked away 2 bedroom, 2 bath home. First time on the market, this home offers opportunity and potential for the buyer who wishes to create their own spaces. The great room with soaring wood ceilings and high windows opens to a generous deck with views of the Old Topanga Canyon hills. Bring your own gourmet style to the spacious kitchen. The large loft makes an extra away place for a library, movie nook. or office. The master suite is at the loft level with a large, dual sink bathroom. The second bedroom downstairs is next to a full bath. Bonus separate-entry studio with bath offers even more spacious options. The long driveway takes you up and away from the road and provides parking. Use the garage for parking, a workshop, or just extra storage. Come see the possibilities! Sold by Sophie Zeiler BRE#01409424 of Snyder Sutton Real Estate. 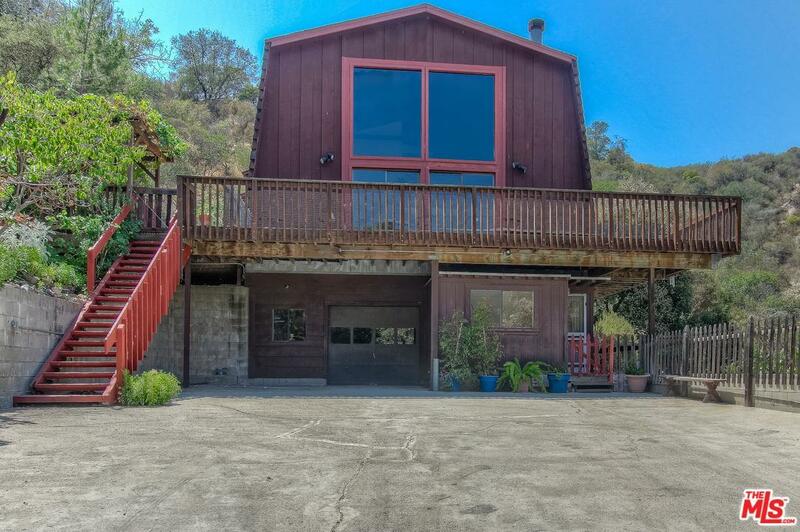 Listing provided courtesy of Elaine Hanson DRE#01409424 of Partners Trust Malibu.